Protecting our financial asset is the primary aspect of an investment. Most of the investors by nature are risk averse. Investors generally feel investments are risky thereby invest most of their savings in financial instruments that earn low income, without paying attention to the inflation aspect. Inflation would erode the value of one’s investment at every passing day. As we know, historically investment in equities has proved to provide inflation-beating superior return over a longer period of time. However an investor having large exposure to equities can protect his equities investments through exposure to related derivative instruments. For instance, if a stock that the investor holds is already in profit and if the investor feels that the stock price might fall in the near future temporarily, he can protect his profit by selling a future in the derivatives market. Another excellent way to protect one’s financial assets is through asset allocation. An investor can have exposure to various financial assets such as equities, bonds, money market instruments, real estate, commodities etc. Asset allocation would help in determining the percentage of an investor’s investments to be held in various asset classes. It has been observed that over 94 percent of returns on a managed portfolio would come from the right level of asset allocation between stocks and bonds. Benjamin Graham advocated the common-sense approach to investment viz. : 50/50 split between equities and bonds. When the value of equities goes up, an investor can restore his portfolio’s balance by liquidating a part of his equity portfolio and vice versa. The primary benefit from his strategy is that the investor is not drawn into investing more and more into equities in a rising market, thereby protecting his investments in various financial assets. Benjamin Graham’s 50/50 asset allocation has been further enhanced by Bogle who advocated strategic asset allocation. This would involve adjusting the percentage for each group of investors after considering investor’s age, financial circumstances and objectives. For this purpose, he classified investors in terms of their lifecycle phases. For instance, during accumulation phase the investor would have larger exposure to equities while during distribution phase, he would have lesser exposure. These asset allocation strategies have historically proved to have helped an investor to protect his financial assets. An investor should protect his financial assets not only during his life time but also after his death. For this purpose, he can follow suitable estate planning strategies. Estate planning helps an investor to protect, preserve and provide for his total assets for the benefit of his family and others. For instance, by creating a suitable trust, the investor’s wealth can be protected from creditors, as such trust assets would not form part of investor’s estate. By adopting the above simple techniques, an investor can protect his financial assets from the vagaries of market dynamics. Besides the technique would also help him to pass on his hard-earned financial assets to his legal heirs seamlessly. Allan has been blogging about personal finance and investment for the last 4 years. Allan holds a BA in Business Administration and has a great knowledge of savings accounts. When he is not blogging, Allan enjoys spending time with his family and friends. Saving money has not been so easy before. 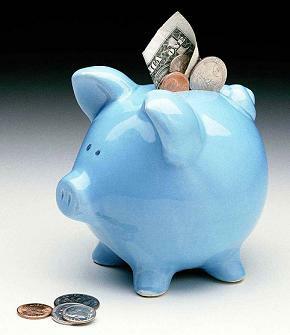 A person with urge to secure their future can keep money in Individual Savings Account (ISA). They are easy to deal with and all you need to have contacts of an experienced financial institution to assist them out. Many people often find it hard to understand differences between ISA and ordinary savings account. There is no doubt that savings account offer interest and is a secure option to save money. But ISA is a tax efficient way of investment. You can save your tax on invested amount as well as the interest you earn from it. Whatever is your investment or growth you do not have to pay capital gain tax or income tax? There are two types ISAs- Cash ISA and Stock and Shares ISAs. Cash ISAs are relatively risk free. Cash funds grow at a moderate rate and you can withdraw cash anytime. If you want to take risk in expectation of more return it is better to park your money in Stocks and Shares ISAs. With this type of investment you have to closely follow the market. There are chances that you may receive less money if the market is down. But these ISAs are good if you are thinking of long term investment. But only UK residents can avail this facility of ISA. One has to be over 16years to open a Cash ISA and of 18years to start Stock and Shares ISA. There are certain rules attached with these investment funds. You need to know these in details to manage your funds efficiently. There is a limit on investment in a tax year. This annual limit is on the money you put in those accounts not on the interest received from it. You can create a Cash ISA and a Stock and Shares ISA in one financial year. You can either keep entire money with one account or divide it into two. 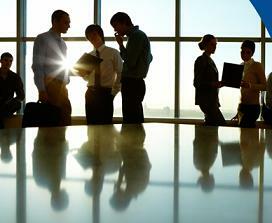 Who does not know that Banking Industry is the topmost industry in today's economic world? Different Banks and other financial institutions together form the backbone of the economy of every country. We truly depend on these organizations and it is really very much important to be familiar with the terminologies while having a significant banking decision. But, do you feel a little bit puzzled about the commonly used banking terms sometimes? Well, it is time to share some knowledge on this topic with you so that in future you won't have to stumble upon those general phrases. The most common bank account is cheque account. A Cheque is nothing but an agreement between two persons. It is a type of contract for money-transfer. The cheque is signed by a person and is submitted to another person's bank to transmit a specific amount of money from the account of the first person to that of the second person. Debit is simply an accounting approach. It points to either the increasing of your assets or the decreasing of your liabilities in your account. It is another form of chequing. But the difference is, it is not time-consuming like the previous. If it is an issue of chequing, savings or money market accounts, an amount of money is paid to you month-wise by the bank, based upon the assets you already have. In this case it is the interest. But in case of credit cards, loans etc. and pay a fee for the privilege of borrowing money on monthly basis upon your debt. APR or Annual Percentage Rate is the rate of interest expressed as a charge for a whole year over loan, mortgage, credit card etc. It can be of two types: Nominal APR, which is a simple interest rate and Effective APR, which is collectively the fee and the compound interest rate. APR can vary at any time. It depends on your payment to clear off your debt. It also shows you off how much you own your property. It is considered to be very much important in refinancing. This is so named because of the nature of the payment. At first you have to pay small amounts in order to lessen your debt. Whenever this time of small payment is over you have to make "Balloon Payments", as this last payment type is a large one. When you go to buy real-estate or some other high-value items, you have to pay some other charges along with the cost of purchase. These are payable at the time of closing the deal. So, these were the common banking terminologies. Remember these and you will surely never feel a fish out of water while dealing with a bank.